USCamera sells parts for Olympus cameras. Display all available Olympus camera parts here. Please Contact us with any questions or part requests. We add new parts to our online inventory every day from customer requests. Did you need replacement parts for your imaging equipment? Does your Olympus equipment have a broken or missing part? Then you are at the right place. 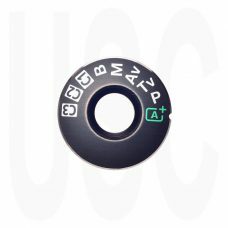 USCamera has sold Olympus imaging equipment spare replacement parts online since 1998. We have thousands of parts numbers in inventory for film and digital cameras. The most requested replacement parts include battery covers, CR covers, flash shoe covers, sync terminal covers, memory card doors, eyepiece frames, door latches, camera grips, eye cups, back cover thumb rests and many more. USCamera is a do it yourself parts warehouse for technically minded equipment owners. Olympus continues to innovate. See what’s new at Olympus. 1 review for "Olympus EVOLT E-510 E-520 Battery Cover Assembly VK4649"
Fit and looked just like the original battery cover. Saved over $100 compared to what the repair shop wanted. Very Happy.